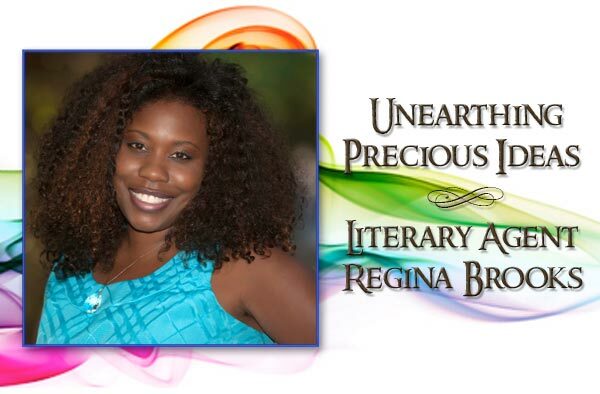 Regina Brooks is the founder and president of Serendipity Literary Agency LLC in Brooklyn, New York. A boutique literary agency, Serendipity represents a diverse list of authors and illustrators in adult and young adult fiction, nonfiction, and children’s literature. Before embarking on her career as an agent, Regina served over a decade in senior positions at major publishing houses, including John Wiley & Sons Inc. and the McGraw-Hill Companies. 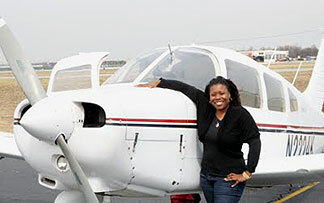 Prior to that, she worked as an aerospace engineer for NASA Goddard Space Flight Center in Greenbelt, MD and made history as the first African American woman to receive a bachelor of science degree in aerospace engineering from Ohio State University. In addition to editing over one hundred published books, Regina has penned a few books of her own. In 2004, Scholastic published her picture book, Just For You! Never Finished, Never Done!. WOW! readers will be thrilled to know Regina shares much of what she has learned about writing and publishing in two must-have books: Writing Great Books For Young Adults (Sourcebooks 2009) and the forthcoming, You Should Really Write A Book: How to Write, Sell, and Market Your Memoir (St. Martin’s Press). Regina’s books help writers with their craft; but recently, Regina has partnered with a world-renowned tea expert to develop Possibiliteas, a line of teas designed to fuel the creative fire of writers and artists. The teas come in three blends to support the three stages of writing: Creativitea, described as a muse in a cup; Claritea, which helps bring the writer’s dreams into focus; and Productivitea, representing the moment when imagination moves into action. Regina found a few minutes to chat with WOW! over a cup of tea at the Society of Children’s Book Writers and Illustrators’ 2012 winter conference in New York. WOW: Hi, Regina. Thank you for taking time away from your busy life to talk with us. After reading your bio, many WOW! readers can probably identify with how you juggle multiple roles. Still, the facets of your life—aerospace engineer, pilot, literary agent, writer, and tea enthusiast—seem so diverse. How do all these roles converge into who you are? Regina: I’m not the person who just comes up with an idea and lets it sit. If I think it is a good idea, I do all I can to manifest it. [laughs] My friend, Dr. Greg Carr, told me once that he’s inspired by the way that I bend the time-space fabric around what I need and wear it like a comfortable garment. To inspire literally means to breathe life into something. It’s like that airplane analogy with the oxygen masks. Before I can breathe life into someone else’s ideas, I’d better breathe life into my own. Writers are essentially dreamers; and when you work with a group of dreamers, you have to manifest their dreams. I want to show in my own life that dreams can be manifested. WOW: It would be hard not to be inspired by all that you are doing. As you know, this issue of WOW! focuses on the art of storytelling. One major component of telling a great story is plot. In your book, Writing Great Books For Young Adults, you discuss the difference between plot-driven and character-driven stories. It seems pretty straightforward, yet a lot of writers struggle with determining where their stories fall. Regina: You have to ask yourself: Where do you fit as a writer? Do you have a story to tell or a person you’d like to introduce us to? Obviously, writers need to do both; but the emphasis is on one or the other, and that defines what type of work you will create. Think of it this way: Plot-driven stories are like being in a fast car. Readers can’t wait to see what happens. It’s that feeling of motion you get on the autobahn, where the events keep coming. Character-driven fiction is a slow drive on a country road, where you can see the distinction in the color of the leaves. WOW: Many writers come to the YA table because they loved the books they read as teenagers. When you compare the books our generation read as teenagers to those being published now, what do you notice? Regina: The first thing I notice is the topics are different. Topics, theme, and content are all different than the books we read as young people. That mirrors society in many ways. In the past if a young person got pregnant, she was kind of hidden away. People didn’t talk about it except through innuendo. Today, when young people get pregnant, everybody knows about it; and in some cases, they’re proud of it. Novels really reflect what’s going on in society. Today’s stories tap into how open we’ve become to talking about what makes us tick. Before people never really shared much about what was going on in the home. Now we have books about cutting, doing drugs, GLBT [gay, lesbian, bisexual, and transgender] issues. It’s really something to celebrate—so many more people have a voice in books now. There are more opportunities for people to have their own light shine and more outlets for people to be writing about their own stories. WOW: Do you see this as a sign that literature is starting to be more reflective of minorities as well? Regina: Publishers are wanting books with a global reach, but there are still not enough books that capture the full scope of American life. It’s predicted that within the next few decades, the minority will become the majority; we need more books that capture the depth and breadth of that changing demographic. WOW: Are more minority writers coming to the publishing table? Telling their stories? Regina: Yes, but there are also many white writers bringing African American characters into their stories, and they do it authentically. 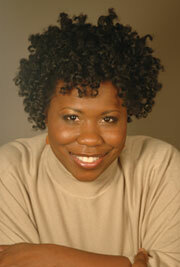 WOW: Stacy Whitman from Tu Books spoke about diversity and multiculturalism at the SCBWI winter conference. She discussed the difference between writing minority characters superficially and creating rich characters reflective of deep culture, which she describes as patterns of thinking we each learn as part of our cultural upbringing. What advice can you give writers who are trying to write cross-culturally? Regina: I think you have to stretch yourself as a writer, think about the nation changing, and represent that in your work. Become an anthropologist. It’s like writing historical fiction. You fact check—make sure the things that you are saying are accurate. It’s the same difference when writing culturally. My point is that when you’re writing about a culture that’s not your own, you have to do research. Fortunately, you have more access to cultural research than historical research—the people you are writing about are still here. If you’re a teacher and you’re in the school, maybe 60 percent of students are African American. You already know their voice because you’re around them every day. Have someone you can go to to ask questions, get feedback. Know that when you’re delving into a people, you should reflect them accurately. Every writer should have someone reading their drafts, who checks to see if the plot is well-paced, if the theme works out. Those same readers can also tell you whether a character rings true. WOW: So character development becomes more important, then? Regina: Whenever you add a character, know that character. Take time to history build, explore the character’s emotional depth, and integrate the five senses. Whether you weave that backstory into the plot or not, it’s helped you get to know your character, and it translates into how the character will react inwardly and outwardly to the dilemmas in the story. WOW: Are there any topics that still remain off-limits? Regina: Not every publisher will accept all stories, but every story will find a home some place. Publishers have to look at content, in part, as a business decision, especially in YA, where they want their books to be embraced by the school market. WOW: What about technology’s effect on storytelling? Regina: There’s been a huge shift in how technology enters into the storytelling process. There are books that are all just text messages or IMs [instant messages] back and forth between the characters. People are looking at writing stories just for animation and film. The novelist as screenwriter requires a whole different approach to getting the story across, a minimalistic approach in terms of words—more visual. It’s not all technology, though. We’re getting novels in verse, where the whole arc of the story is expressed through a series of poems, and graphic novels, which didn’t exist when we were teenagers. WOW: That minimalistic approach is a big topic for discussion among those writing for children. Writers are getting a lot of conflicting advice regarding book length. Authors like J.K. Rowling and Stephenie Meyer have pushed book bindings to the limit, redefining the landscape of middle-grade and young adult fiction. Yet the average word count of picture books has dwindled in recent years, despite editor Allyn Johnston’s claim that she is pulled in by the gorgeosity of a story. What have you noticed about book length in children’s literature? Regina: Pressure to get the story out in a very concise way takes away from that gorgeosity of language and takes away from people’s respect for stories. Today’s form mimics the pictorial format of Egyptian hieroglyphs, and that appreciation for words has translated into gorgeosity of illustration, where more and more, the story is told through pictures. Literary novels still have a lot of that beautiful language. WOW: There’s a whole discussion in Writing Great Books For Young Adults about theme. You define theme as a “story’s soul.” Can you talk a little about theme? Regina: There is a big difference between theme and moral. Kids do not want a PSA [public service announcement]. Writers have to be very nuanced, very sophisticated when introducing concepts designed to teach something. Let the readers figure it out. WOW: More recently, you have turned your attention to the memoir. Your newest book, You Should Really Write A Book: How to Write, Sell, and Market Your Memoir, comes out this summer. What would you say to writers who may be considering penning their own memoir? Regina: At any given cocktail party, someone’s going to tell you that you should write a book. There’s a big leap from knowing you have something to say to writing something that is interesting, provocative, intriguing, saleable. For instance, there are a lot of people out there who are dealing with cancer. They want to tell their stories. But it’s not enough that you had cancer. You need to find the emotional or universal experience everyone can latch on to. That universal connection is the thin thread that everyone can feel, not see. You feel it instantly; it’s the piece that makes the reader say, “Oh, . . . I feel this.” Otherwise, it feels like the same story that everyone else with cancer might tell. The key is it’s not about the cancer. It’s about the thin thread that connects the reader to a story in a way that other stories don’t. WOW: What are some of the mistakes you’ve seen when writers venture into memoir? Regina: When a story is based in truth, there’s a tendency for writers to try to include everything. That leads to the story feeling episodic. For a memoir, you have to figure out how much of the story you want to tell. Look at all the pieces of the story, and determine which are relevant to the arc of the narrative. A memoir is not a journal. A journal is about you. You have to be prepared for the divine time to tell your story, when you have achieved enough distance from the events in order to understand the deeper meaning—the impact that the events have had on your life. Then, once the story is fully developed and ready for prime time, your focus is on the “we.” The best storytelling is, at its core, the crafting of the “we” experience, without destroying the “me” that is the heart of the story. When it comes time to submit, realize that publishers are looking for three golden nuggets: incredible writing, platform, and hook. The good news is if you have at least two, an editor will probably help you to develop the third. WOW: There’s a quote on Serendipity’s website: “A precious idea is never arbitrarily unearthed. It spurts forth from effort and creativity, finally uncovered as brilliance. Serendipity Literary Agency pushes and uncovers those who love to venture in the quarry of their imagination.” I love how that statement conjures the images of a rare jewel. Can you tell us how Serendipity is doing in the current market? Maybe give readers insight into what your agency looks for in submissions? Regina: Serendipity has experienced growth over the last year and a half and added three agents. We’re always looking for new authors with good ideas, excellent writing, and an established platform. While the industry is critically focused on best-selling authors, my agency is still interested in developing new writers and taking them to the next level. WOW: Thank you for taking time to share your insights into crafting memoir and YA. Readers wishing to learn more about Serendipity Literary Agency can find submission guidelines on the website. Before we let you get back to the conference, do you have any final words of wisdom for our readers? Regina: Be patient. Be creative. Be a reader. And remember agents and editors love authors who can tell an exceptional story in an exceptional way. Kathy Higgs-Coulthard is founder and director of Michiana Writers’ Center in Indiana, a fun job that provides just enough income to support her addictions: caramel macchiatos and frenzied bursts of caffeinated fiction writing. Kathy recently found a publisher for her middle-grade book and is hard at work on revisions. Noah Lukeman of Lukeman Literary Management Ltd.
Sarah Lapolla of Curtis Brown, Ltd.
Wendy Keller of Keller Media Inc.